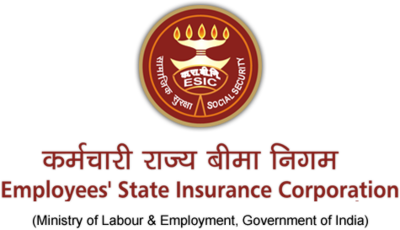 Employees State Insurance Corporation Hospital (ESIC Hospital) has published a recruitment notification (282-A/12/12/2017/Admin Branch) on 11/12/2018, wishes to engage on an immediate basis. Indian Nationals who meet with the requirements stipulated herein, for the post of Full/Part Time Specialist, Senior Resident at Varanasi ESIC Hospital on a temporary basis for a period of one year. Based on the performance of the candidate during the contractual period, the company will offer to fix the term and conditions of its own. The existing vacancies as shown below and to maintain a waitlist for vacancies arising in future. The number of vacancies are indicative and reservation will be as per the Presidential Directives. The actual reservation of vacancies would depend upon the prevailing strength at the time of appointment. Applicants meeting with the eligibility criteria mentioned in this advertisement, as on releasing date of the notification. This hospital requires to WALK-IN in person, to the venue on the date and time as specified below. ELIGIBILITY CRITERIA AS ON: Releasing date of the notification. A candidate must have PG degree/diploma in concerned speciality or 2 years experience after MBBS. In case of non-availability of experienced candidates, other deseving candidates may be concerned. A candidate not exceeding 45 years on the date of Walk-in-interview. There will be age relaxation for SC/ST/OBC as per Central Government rules. Retired persons who are up to 64 years of age they are applied for the part-time Specialist. Application Fee- No fees is to be paid by any candidate. There is no requirement of fee for these post. Colored passport size photograph of the full face (front view) should be pasted neatly in the space provided in the application form. Original Certificates should not be submitted along with the application but should be brought for verification. Candidates belonging to OBC category must submit a duly attested photocopy of the Caste Certificate in the format as prescribed by the Government of India, issued by the Competent Authority. The OBC Certificate produced by the candidates should be as per the Central List of OBCs published by the Govt. of India and not by the State Government. Applicants working in Government/Semi-Government/Public Sector Undertakings or, must walk-in with the completed Application through proper channel along with “No Objection Certificate” from their current employer. For the Full-time Specialist, Basic pay is of INR 18750+Grade pay INR 6600for P.G degree holder (it would be reduced by Rs. 600/- for the Diploma holder and the same will be reduced by Rs 1210 /- per month for non-PG candidates and allowance as admissible from time to time. No transport allowances are admissible. Remuneration is revised to change followed by 7 the pay commission. All candidates should have to report in the office of medical superintendent, ESIC Hospital, Pandepur, Varanasi, UP at 9 AM on the 9 January for the post of full-time Specialist and on 10th January for the post of the senior resident. No TA/DA will be paid to the candidates for appearing the interview. ESI Corporation may increase or decrease or cancel filling up of any or all the post without any reason. At the time of the interview, all the candidates should bring along with the original plus attested copies of MCI/state MCRegistration, Educational qualifications from 10th or equivalent, experience certificate, proof of age(matriculation certificate), Caste certificate and 2 recent passport size photographs and Aadhar card.